How is Your Crop Growing? I was driving by some corn fields recently and was thinking about all the work a farmer puts in to get those corn plants into the ground. From the off-season planning to working on the equipment to be sure it is in good working order to planting the corn and to the fertilization of it, all to produce a product that will yield him a great crop. I got to thinking how similar it is for parents in preparing for and in training and raising their kids. We too have to start with planning to have children and making many decisions as to what kinds of bed they will have when we bring them home from the hospital to what type of school they will go to, to what kind of words we allow to come out of their mouths or clothes they will wear, all of this plus dealing with the same kind of weeds a farmer has to spray for to kill these and other insects that can destroy a good crop. Parents want to protect their children/teens from all company that would be bad for them until they mature and can stand against the high winds and storms of life that God allows to come along to both water and strengthen their kids as they mature and grow. Knowing when to step in and help your kids and when to back off to see if they can stand on their own two feet is as difficult for parents as it is for a fruit tree farmer knowing when to take away the support forms holding up his newly planted tree. Stepping back and seeing if your child/teen is ready to manage a given behavior/responsibility on his own is a necessary action parents must do over and over again throughout the growing up years of their child. After all, if they need more support before they can manage this issue on their own, wouldn’t you want to be the one to stand alongside, supporting him? Just as a farmer carefully drives around his fields several times a week keeping watch, we would like to encourage you to purposefully and intentionally look at your children’s lives daily (or several times a week) to take inventory of their character to see how they are doing and how you need to offer support to your most precious investment. We hope you enjoy your children as you raise a crop that will yield 100 fold. Why are parents inconsistent? It could be they are just too busy to focus on training their kids, or they have extra work hours, possibly a crisis in life or the family. Perhaps there is a new addition to the family by birth or adoption, or grandparents need you to stop in daily to see to their needs. Whatever it is, you have gotten off-track where your kids are concerned. You know you have not been consistent when it comes to dealing with your kids’ misbehaviors. What are you going to do about it now? Often, parents begin to work with their kids but when they don’t know how to handle difficult behavioral issues they often give up until they get frustrated with their kids then they kick it in gear once again. Some parents begin the ardent process of self-examination to determine what the real issue is and why they are not more consistent in their parenting. They begin to make changes in their life and parenting style and in their family’s life to become a consistent parent. Parents need to evaluate what sports, music and other activities their kids need to participate in. Young children especially do not need to go to one activity after another. Cut down on your family’s busyness. Just because everyone else is doing it doesn’t mean you need to. Parents also need to realize that if they don’t follow through on what they say they will do, their kids are keeping score and know when they don’t have to obey because you aren’t paying attention. If you aren’t going to be consistent in dealing with an issue, keep quiet about it. One of the biggest reasons we see that parents are inconsistent in their parenting is they lack the belief or conviction of what is right and wrong and the resolve and determination to see their beliefs followed through. Remember the Old Testament character named Daniel? He was willing to be thrown into a den of hungry lions rather than violate his conscience or what he believed in just because someone else said he should, even when that someone else was his king. Do you have that kind of faith? Have you taught your kids that what the Bible says is the way we are to live, no exceptions? Once your kids have the foundation of what they believe, they need to develop their resolve and determination that nothing is more important than holding to these standards. It is one thing to believe what is right and what is wrong and teach this value system to our kids. It’s entirely another thing to put action to our beliefs. This is how one’s belief system becomes a conviction. Give yourself a letter grade for you and your spouse’s consistency in parenting each one of your kids. List your non-negotiable beliefs and standards how you expect your kids to behave. Grade yourselves on how well each child lives to these standards. From this list, evaluate why your kids don’t live to that standard. List what you could do to bring your kids to this standard of behavior. List what changes it will take in your lives to be consistent parents. Pray, asking God to help you resolve and determine to be a more consistent parent. Why Do We Lecture Our Kids? When parents lecture, they think they are helping their children by reminding them of the training and teaching they have given them. We don’t think there is a parent alive who is going to say lectures get their child to make wise decisions and be responsible. Lecturing is just a polite way of yelling at your kids for not getting something done or for not doing it right. Let’s look at what lectures don’t do. Lectures do not motivate kids to do the right thing. They do however motivate kids to do the wrong thing. Lectures do not encourage kids to succeed. When you keep pointing out the wrong your kids are doing they lose their heart to do anything right. Lectures do not give kids (especially teens) the freedom to make mistakes they can learn from. When legalistic parents lecture their kids in an attempt to prevent them from doing wrong by continually reminding them of their strict expectations, they are surprised to find their lectures prevent their kids from doing right. When you lecture, your kids are unengaged because they know nothing is required of them. Kids keep a small sliver of their mind tuned in to what their parent is saying and let the other part of their mind wander wherever it wants to go. It is depressing to realize our kids don’t have to think hard about what we are saying to keep track of our words and intent, isn’t it? We have been teaching, counseling and encouraging parents to stop lecturing, reminding and threatening their kids for many years. Parents tell us they appreciate our teaching on this topic and many of them have asked us to write a book on empowering parents to teach their kids to think for themselves which will stop parent’s need to lecture. We are excited to tell you that this book is finally written and it will be available by mid-June! You can order yours now and get one of the first copies available (signed by Joey & Carla) at Parentingmadepractical.com. We can tell you that each chapter in this easy to read book is filled with practical examples, illustrations and applications to help parents stop lecturing and begin getting their kids to think and take responsibility for their own behavior. We want to encourage you that you too can be a parent who can begin changing your child’s behavior by getting to the core of what they think and believe. Finding out “why” they choose to make the decisions they do gives you perspective that enables you to get to their heart. Order your pre-release copy Today!! In our Midwestern town, they have what is called spring cleanup days. You can get rid of furniture and other items you no longer want, setting stuff out in front of your house on a specific day and the city cleanup crews come around and pick it up. This year I walked through our house and pulled a few things out and took them to the curb. Feeling energized, I went back into the house and went through more rooms, looking for stuff that had piled up or we no longer needed. Carla and I have lived in the same home for over 25 years, and with her lack of mobility, she is no longer able to clean or put things away as she once did, so there were closets full of stuff. We have the best intentions of going through these piles and cleaning out, but life gets in the way and it always gets put on the list titled, “Later”. I wonder how many parents put off their kids’ behavior issues, thinking they will deal with them “later”. Than one day, usually out of frustration with your kids, you realize “later” has arrived and it’s time to clean things up and throw them out of your child’s heart. 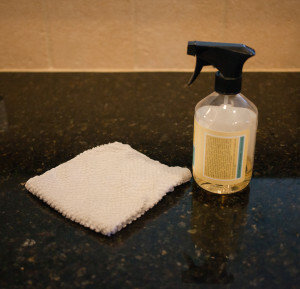 You start working on a behavioral issue in your child’s life that needs a parental clean up. It isn’t long before the WOW factor kicks in. Your cleanup efforts reveal many other rooms in your child’s heart are filled with junk that needs a clean sweep as well. For instance, a family we have worked with recently has a child with an unkempt heart. When they started pulling back the layers of dirt, they found not just deception, but out and out lying in multiple areas and issues. They not only had to deal with the lying, but the ramifications of the lying in different areas and who it had affected and possibly offended. Another family’s young teenage daughter used her phone to begin texting people she didn’t even know, setting up a meeting with a young man instead of going to youth group one night. She didn’t call it a “date”. When the youth leaders asked the parents about it, the parents talked to their daughter and realized her freedoms were way outside the funnel of what she could handle without supervision. Both the parents and their daughter went through some difficult days before this girl realized the wrong path she was going down. A young man had not finished a paper he needed to get turned in when he had been given 3 weeks to work on. The night before it was due, he was making everyone in the family miserable with his bad attitude while he was trying to get it done. He was making his family pay for his lack of planning. His parents need to teach this kid some time management and relational skills. It is time for spring cleaning for these families. Just because only one of their children’s abuse of freedoms exploded into mayhem, doesn’t mean their other children haven’t been taking advantage of freedoms as well. Time to review the teaching on the funnel and get to work! 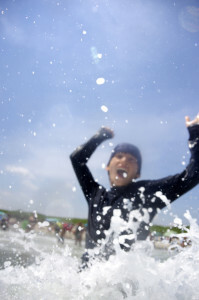 Why don’t we notice when our kids are sliding down the slippery slope of disobedience? While it may not always be possible at the moment, it is easier to deal with our kids’ disobedient behavior when they are doing it before it becomes a habit in their life that you will have to drag out of their hearts at some point in time. “Credit Card Parenting” — pay now with no interest OR you can let your kids funnel get out of control and lose time and money paying off your child’s bad behavior over time. We have a new book coming out this summer! 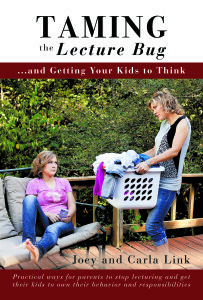 It’s titled “Taming the Lecture Bug and Getting Your Kids to Think”. We believe it will be a big help and encouragement to parents. It’s at the printers now!! We will let you know when it’s available. A friend of mine who is the CEO of a very large company with plants in several countries often talks about how he uses some human resource business practices in the parenting of his kids. One of his favorite phrases he likes to use is “SUCCESS!” He says he wants to be sure in everything he does with his kids, whether it be helping them understand how to live for God or to prepare them for the day they leave home, he is setting them up for success. Why don’t they get their stuff done? What are they doing instead? Are you asking too much? Are your expectations too high for them to see success? At a parent-teacher conference when our son was in high school, we asked each of his teachers how much time a day should the homework they assign take. It was apparent some of them had never thought about it. When we added up what they all said, our son had about 3-4 hours of homework every single day. No wonder some of his chores weren’t getting done. When we knew he had a test coming up or a paper to finish, we offered to do them for him. You are your kids greatest champion. Now, perhaps it was an issue on your child’s part that stopped him from completing his tasks. If so, why and how will your child fix it or do you need to step in to help him figure it out? For instance, a mom called me frustrated with her 12 year old son. He was forgetting something he need for soccer practice or a game 50% of the time they left the house. Being a good and loving mom she went back to get it for him every time. She asked me how many times she should continue doing this before giving him a consequence. What is this mom doing to set her son up for success? She said she reminded him several times to be sure he got everything ready for soccer, and he responded with “Yes mom.” But yet somehow he still didn’t get everything in his soccer bag. This kid knew he didn’t have to check his bag. He figured his gear would be there, forgetting he often got it out to play soccer with his brothers in the back yard. When he found he had forgotten something, he knew his mom would go back home and get it for him. This was not setting him up for success. So what could this mom do to help set her son up for success? First, instead of calling a reminder out to him as she walked through the great room on her way to the kitchen, she calls his name and waits for him to respond so she knows she has his attention. When he comes to her he is looking her in the eye, and she tells him to check his soccer bag and make sure his gear is all there. Now it is a matter of obedience which holds her son accountable. Reminders do not hold kids accountable. This is the appropriate thing to do for younger kids but this boy is 12 years old! Setting a child up for success means you are going to give your child all the tools he needs to fulfill his responsibilities. One tool parents often don’t give their kids is the ability to think outside their box, and to think about how to make right choices and decisions on their own. While mom was graciously reminding her son, at some point she needs to turn the responsibility of getting his soccer gear together over to her 12 year old son. If a child is capable of remembering what day practice is and what day the games are, he is capable of remembering to check his bag and make sure all his gear is there. Mom decided she was tired of doing his remembering for him. She told her son she was giving him ownership of his soccer bag and was through running home to get what he forgot. A couple days later, sure enough her son didn’t have all his gear. She just looked at him and shrugged her shoulders and reminded him what she had told him earlier. Setting your kids up for success in things they want to do is teaching them to think through their life’s responsibilities. The time will come all too soon when you won’t be around to be there back-up team. Carla and I are putting the finishing touches on a book titled “Taming the Lecture Bug and Getting Your Kids to Think” that we believe will be a big help and encouragement to parents. It will be out this summer!